Following seven mostly brilliant seasons as the focal point on Saturday Night Live, funnyman Will Ferrell has carved out a film career for himself that includes some of the most memorable and legendary scenes in the history of the genre. From his turns in cameo roles in Austin Powers: International Man of Mystery, Zoolander, and Wedding Crashers to starring roles in Old School, Elf, Step Brothers, and Talledega Nights: The Ballad of Ricky Bobby, Ferrell’s one-liners are among the most often repeated and often overheard in our every day lexicon. But his turn as Ron Burgundy, a 1970′s west coast news anchor in 2004′s Anchorman: The Legend of Ron Burgundy is perhaps his most memorable role. 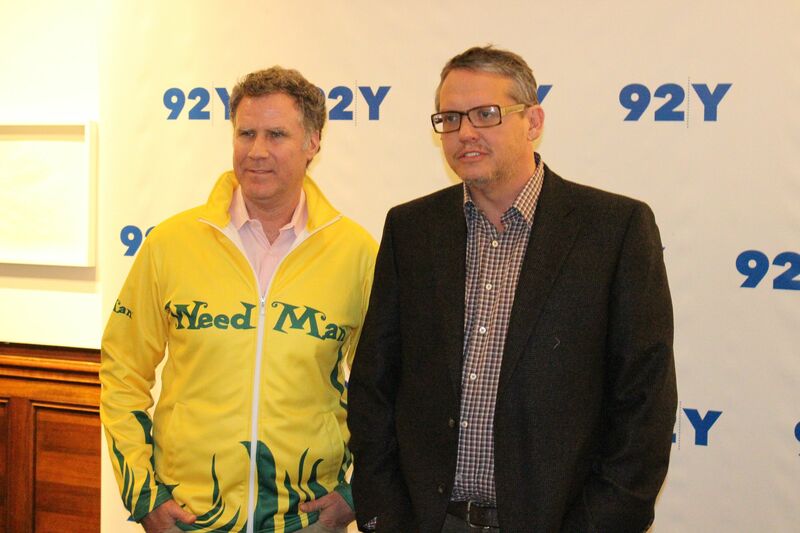 A decade later as the film’s sequel Anchorman 2: The Legend Continues is set to be released (12/18), Ferrell joined writer turned director Adam McKay at the Upper East Side’s 92Y for a ninety minute conversation about his career, his most memorable roles, and about what lies ahead for comedy’s most talented duo. Moderated by W Magazine’s Lynn Hirschberg, the conversation was truly a forum for the pair to showcase their relationship off of the set and outside of the writing room. Often, it was their back and forth and lightning quick improvisations that would crack each other up, with the crowd inside of the sold out event space quickly following suit. The evening began with a preview for the upcoming Anchorman sequel, leading to some discourse about the emergence of the Ron Burgundy character and its relation to current news media. The pair discussed their original intentions of having the sequel actually return as a musical, an idea at which the studio repeatedly scoffed. And it seemed that just as talks to make a Step Brothers sequel had begun to take shape, the fans’ constant clamoring for Anchorman 2 coupled with an influx of new ideas to make the film work had given the pair all the initiative they needed to ensure the green light from the studio. As the evening progressed, the conversation was a bit clumsy. Hirschberg, while comfortable on stage as the moderator, would have been better suited to remain in the background to allow the pair to fully flesh out complete answers rather than to inject herself as the conversational focal point throughout the discussion, which at times seemed to rattle the pair. But to their credit, the moments of back and forth between the two writing partners and friends and their ability to work off of each others’ ideas so quickly made the candid conversation so satisfying. The audience was treated to clips from Talledega Nights and the original Anchorman, both of which brought about an eruption of laughter from an audience that had undoubtedly seen these scenes countless times previously. And still, they were very funny. The conversation shifted toward the pair’s initial meeting at Saturday Night Live in 1995, with Ferrell a virtual unknown and McKay, a lowly writer. Fast forward about seven years and Ferrell’s film career was set to take off and McKay had ascended to the coveted position of SNL Head Writer. 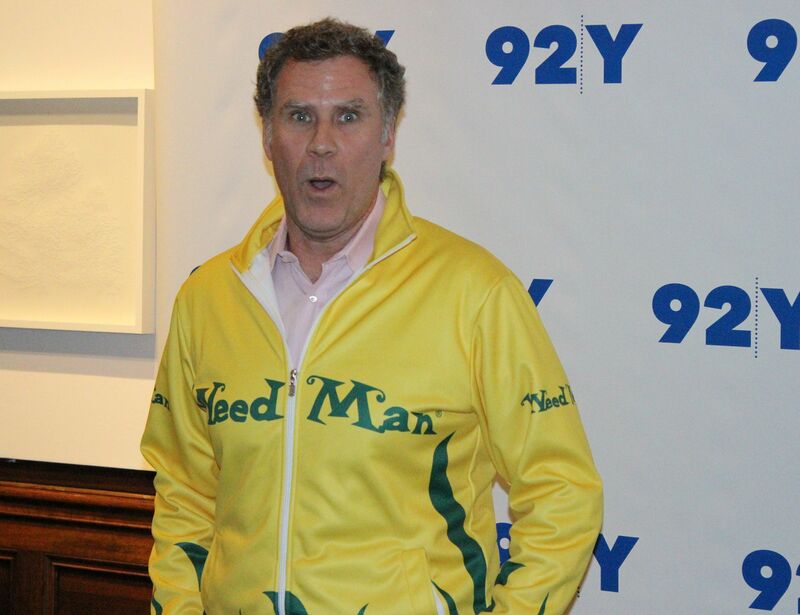 The pair would reunite in 2003 to collaborate on Anchorman which was based off of an idea that Ferrell stumbled upon while watching an anchorman some ten years after he had retired from broadcasting, continuing to speak in the same voice and cadence as he’d done while on television. The evening also touched upon Ferrell’s reprisal of the George W. Bush character in his Tony Award nominated Broadway run, the launch of the pair’s ‘Funny or Die‘ website, and a good deal of reminiscing about some of their favorite scenes for the films they collaborated on. 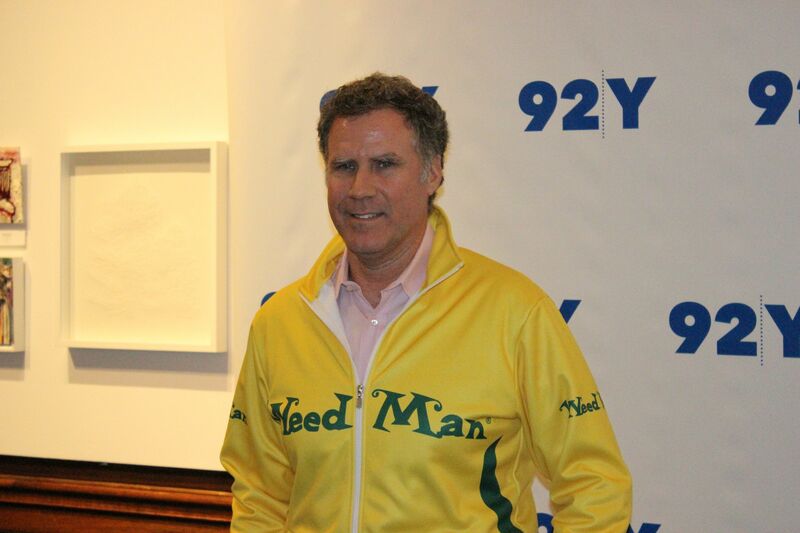 As the banter wound down, the event concluded with a thorough question and answer period with the audience that touched upon Ferrell’s career on SNL, the pair’s satisfaction with the success of HBO’s Eastbound and Down on which they serve as producers, and possible upcoming projects down the road- Ferrell mentioned a potential film with comedian Kevin Hart which may come to fruition. While the conversation was a fun and introspective look at Ferrell’s career, the ninety minutes seemed to pass rapidly and there’s perhaps no greater compliment that you can pay an event than to say that we wish that it had carried on longer. 92Y has become a staple for bringing exclusive events to New York City featuring some of the biggest names and most interesting people in show business- among many other walks of life. And on this night, we were fortunate to be a fly on the wall for a conversation between two of comedy’s biggest names for ninety nonstop minutes of banter that was interesting, eye opening, and downright hilarious. 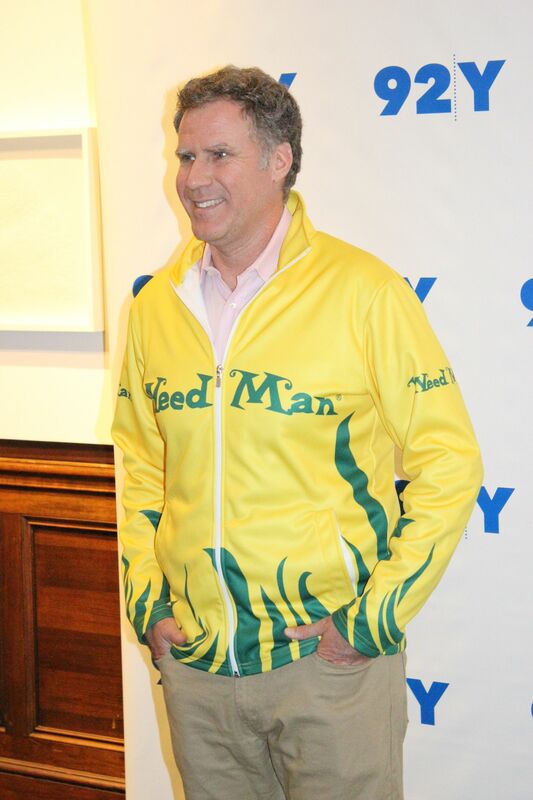 With Will Ferrell as the evening’s centerpiece, we’d expect nothing less. - Ferrell had met with SNL Producer Lorne Michaels about 4 different times before realizing that he had been offered a spot on the cast. I enjoyed your take on the the evening event. As I read and review various coolums I am intrigued when I read a comment about that the time of event has elasped so quickly, meaning it was a worthwhile and intersting . Special people bring forward some very enlightening aspects of there career , and I believe u captured the essence of the event in this review.